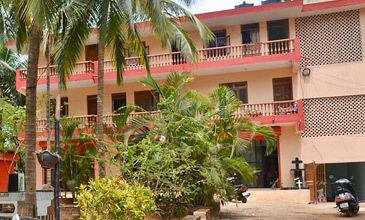 Shri Kali Ashram was inspired by Shri Ma Kristina. She was impressed with Bhagavan Shanmukha's knowledge of Tantra and the secret traditions (Rahasya Sampradāya), and realized that unless steps were taken to preserve it, the whole traditional outlook on the science and culture of Tantra Yoga would be lost. Thus she inspired and actually supported Bhagavan to start Shri Kali Ashram. Shri Kali Ashram has produced many excellent teachers with superior understanding and realization of the philosophy, science and culture of Tantricism. It has also put out two unique books explaining the science of Tantra and its unique source, the Veda: Divine Initiation and Third Eye of the Buddhist by Bhagavan Shanmukha & Shri Ma Kristina. We offer initiation into the Left-hand (Vāma) and Right-hand (Dakṣiṇa) Tantras, Kula, Kaula, Krama, Akula, and Trika. Our initiations are not just empty ceremonies, but actual initiation, based on knowledge and mastery of the tradition. Shri Kali Ashram is one of the last remaining centers that one can visit to understand the differences between these doctrines. Our students master all aspects of Tantric philosophy including meditation, mantra, mudrā, chakra / kuṇḍalinī and Tantric sexuality for couples and interested individuals. To advanced students, we teach the relevance and importance of ritual practice. We teach based on where you are at! Shaivism is a monistic (advaita) science that teaches integration and oneness with the auspicious Divine known as Shiva. This concept of wholesomeness is reflected in all our teachings. Tantra is not an academic philosophy, but a life practice. Since you can't separate the mind from the body, before you can learn to meditate, one must first achieve harmony within one's body. Tantrics see the body as an expression of the soul, not just a physical shell. Thus we offer a unique traditional system of āsanas, prāṇāyāma and bandhas to train the body, mind and subtle energy system (nāḍis). Through our āsanas, students not only build strength and flexibility, but also energy, grace, fluidity and inner harmony. Our unique teaching style enables our students to master their āsanas and meditation in a short time. 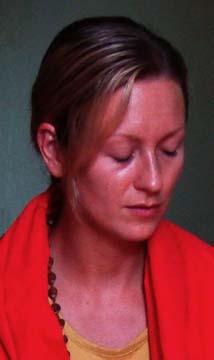 In Tantra Yoga, āsanas take you to deeper meditation. We emphasize on meditation (Dhāraṇā / Dhyāna / Bhāvanā / Samādhi) to enable students to attain oneness with the Divine self. At Shri Kali Ashram, we do not teach from translations or modern studies. We use the original Sanskrit texts, interpreted through the traditional learning handed down by generations of Tantrics (paramparā). We illustrate the accuracy of interpretation with existing Sanskrit Vedic, Śaiva and Tantric texts. This statement itself will startle many who are only familiar with a reading from Orientalism. Many of us are not aware that the various Śaiva, Vaiṣṇava and Tantra teachings are specific expressions of the Veda (cf. Divine Initiation and Third Eye of the Buddhist). We teach Sanskrit to allow our students direct access to the ancient texts. Modern translations are often faulty—done by scholars with no real understanding of the material. In addition, many of the most important texts of Tantra have yet to be fully translated i.e. Shiras-cheda or Jayadratha-yāmala by Jayadratha, Tantrāloka, Tantrasāra, Tantra-sat-bhāva, Mahārthamañjuri, Svacchanda-tantra, Siddha-yogeśvarī-mata-tantra, Mālinīvijayottara-tantra, Mālinīvijayavārtika with commentary by Kṣemarāja, Rudra-yāmala-tantra, Netra-tantra, Tantrarāja-tantra, Prapañchasāra-tantra, Tripurā-rahasya (the various commentaries by Aṃrtānanda, Śivānanda, Bhāskararāya, and Jayaratha), Śaktisaṇgama-tantra, Prāṇatoshiṇī-tantra, and the Saundarya-laharī. No single text encompasses the whole of the Tantric science. Thus it is important to learn from a traditional ācārya (teacher) who is well read in the entire science. Sanskrit is also a crucial part of mantra and ritual. Singing a mantra out of context and without understanding is like singing ‘E=mc²’. By just singing ‘E=mc²’, you will not understand quantum physics. Similarly, just singing ‘Om’ leads nowhere! Mantras are to be correctly learned and understood. Learning at Shri Kali Ashram, one discovers a rich, timeless science. Therefore we emphasize on tradition. Those who are nervous of the term ‘traditional’ need not be suspicious or phobic. Knowledge from this tradition is well-tested over the last few millennia. It is funny that a contemporary person is so afraid and even suspicious of the past. It would be more logical to be afraid of new ideas propounded just by a single person without the test of time. The ancient traditions were followed for millennia as they are safe and wholesome for humanity. Apart from this, these philosophies were the contribution of a whole civilization of people rather than any one person's idea or views. The ‘self-made religions’ are often fads which often don't last even a single generation. If you follow just one man or woman, you can never progress beyond the limits of that person's thinking. When you follow a tradition you inherit the expertise of generations of thinkers. Tantra and the Vedic sciences have influenced generations of great thinkers including Schopenhauer, Thoreau, Emerson, David Bohm—a close friend of Einstein, Freud, and Jung. All these thinkers are important contributors to modernity and are indebted to Tantra. Everything Shri Kali Ashram offers is the original reading of the science, away from the misreadings of the last few centuries. The information we offer is totally from a Traditional Śaiva Tantric system. This system offers timeless formulae which take into consideration the higher aspects of life.